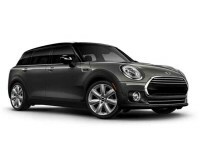 Thinking about leasing a MINI? Well, you’re in luck! 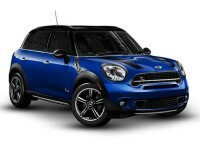 We offer each and every new model MINI made, including the Hardtop 2 Door, Hardtop 4 Door, Countryman, Paceman, Convertible, Coupe, Roadster, and the John Cooper Works. But that’s not all; we also offer every new model vehicle made by Acura, Audi, BMW, Buick, Cadillac, Chevrolet, Chrysler, Dodge, Ford, GMC, Honda, Hyundai, Infiniti, Jaguar, Jeep, Kia, Land Rover, Lexus, Lincoln, Maserati, Mazda, Mercedes-Benz, Mitsubishi, Nissan, Porsche, Ram, Subaru, Smart, Toyota, Volkswagen, and Volvo as well! We’re able to have such a huge variety of vehicles because we don’t have to park them all. 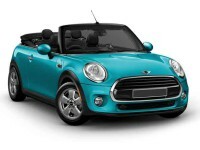 All of our beautiful vehicles stay at the manufacturers and dealers until you want one. This frees us up from having to have a physical car lot, a fact that saves you lots and lots of money when you lease with us. You see, those old-school car lots don’t come free. In fact, they come with a lot of bills, from property costs, property taxes, property insurance, utilities, and on and on. Because we don’t have such costs, our overhead is low – really low – and a low overhead means low prices for our customers. Yup, instead of having a physical car lot, we have a virtual one, a car lot you can find on the internet. 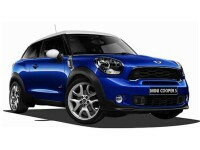 This allows you to do all of your car shopping from your place! When you lease with us, you won’t have to drive anywhere, worry about someone else’s business hours, or, once you show up at some car lot, deal with a salesman following you around, trying to sell you something. 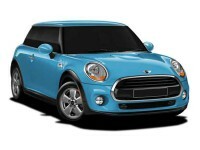 You do your car shopping on your own, at your own pace, in peace, any time of the day or night. Hey, bring your family and friends car shopping with you, virtually speaking, just by emailing to them those vehicles you’re looking into, getting their opinions as to which is the right choice for you, all without having to arrange schedules or coordinating rides. You simply won’t have a more convenient leasing experience than when you lease with Stamford Car Leasing! After you’ve explored our virtual lot and have found that perfect car, truck, SUV, or van, the time will come to think about financing. Not the funniest part of leasing, we know, but we definitely take much of the sting out of it. We’ll walk you right through it all, working directly with banks and other lenders to make sure you’ll get a deal you’ll love. We’re after low interest rates, low monthly payments that’ll fit your budget, and reasonable terms that’ll keep you happy, and are good at getting them! If your credit rating isn’t that great, don’t feel defeated! We’ve had many successes in getting financing for people just like you! Really! Don’t give up until you’ve at least talked with us! After the financing’s worked out, you get to drive your new vehicle. Very exciting! And we do our best to keep that day a happy one by not having you worry about a thing, including how you’ll arrange to go pick up your new ride. Instead of that, you just let us know where you want your vehicle delivered – whether it’s to your home, workplace, or most anywhere else – and we’ll bring it right to you instead. You’ll feel really spoiled when you lease with Stamford Car Leasing, that’s for sure! Please, just call us up at 203-295-3030 if you have any questions for us or if you’re all ready to lease! We’d love to meet you, talk with you, and, especially, save you lots of money while getting you mobile!